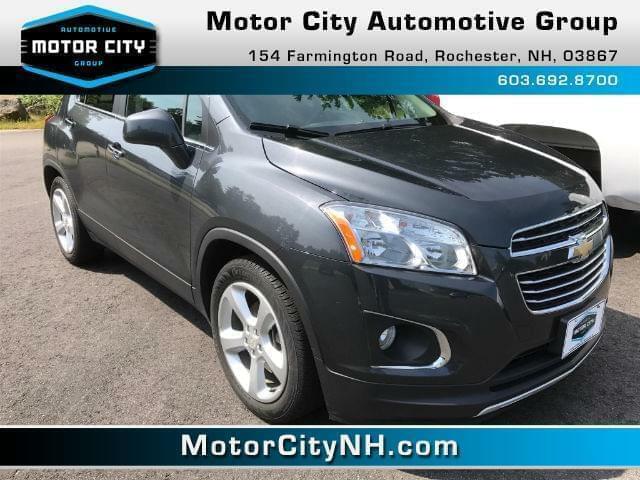 This is one great Chevrolet Trax. This gas-saving LTZ will get you where you need to go* Isn't it time for a Chevrolet?!!! Internet Deal on this tip-top Trax.. Does it all!!! Safety equipment includes: ABS, Traction control, Curtain airbags...Other features include: Bluetooth, Power locks, Power windows, Heated seats, Auto.... Motor City Automotive Group offers "Rapid Credit Approval" where EVERY customer is approved on ANY car in 14 minutes or less...Guaranteed!! Don't hesitate, this deal won't last forever.